There are times we feel younger or older than our actual age. Did you know, you can actually find out your mental age? There are many mental age test websites out there for this. If you want to know what is your mental age, then use any of the various websites available out there. These mental age quiz websites ask you several questions. These questions are mostly related to your different preferences in life. Once you answer these questions, these websites predict your mental age. To make sure, you can even try out multiple tests to know your mental age. In this article, I will talk about some of the best mental age quiz websites out there. Some of these websites are even funny, and will keep you engaged. Let us see what these tests have to offer. Find if you are left brained or right brained. Mental Age Test from A Real Me tells you what is your mental age. For this, it asks you 31 questions with multiple choice answers. 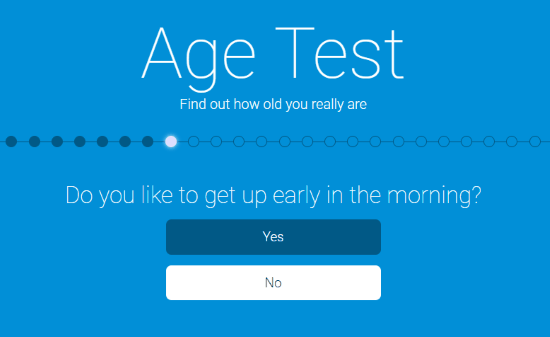 You can also optionally enter your real age before the test begins. These questions ask you about your habit and your preferences. Based on the answers selected, it calculates your mental age. It just tells your mental age, which you can share on Facebook with your friends if you like. Test this mental age calculator here. My Mental Age Test is a dedicated website to know what is your mental age. To calculate your mental age, it asks you about 20 questions. The questions are somewhat same as the above test, but there are more options for you to choose. More options make this test fun. When you complete the test, you will get the result along with an explanation. I wish it had an option to share result with friends. What Age Does The Original Mental Test Predict You Are? This test from PlayBuzz is an engaging one. It is a 9 questions long test with pictures. 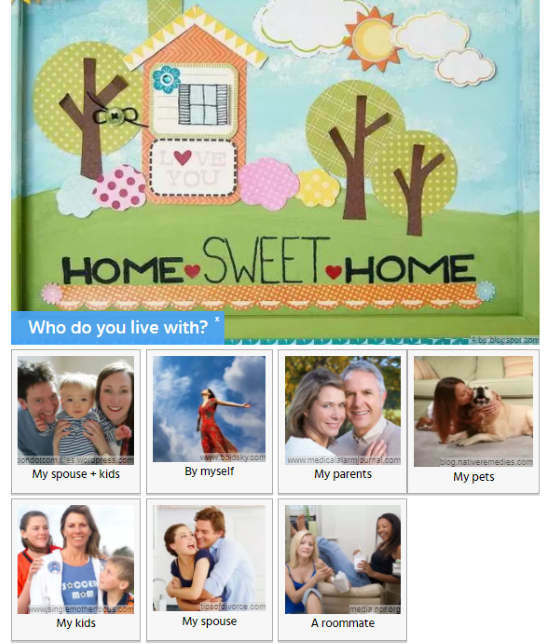 The questions and answer options are represented by photos, making it an interesting test. 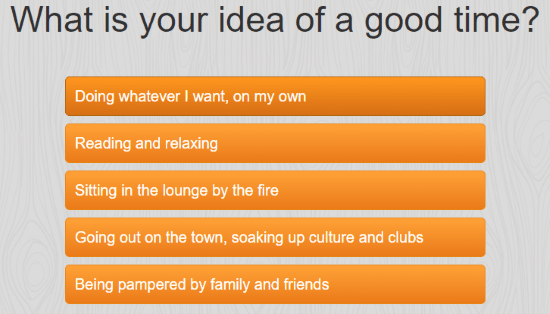 The questions are somewhat different than the above 2 tests, but revolve around your preferences and habits. The final result comes with a number, explanation, and a picture that describes your mental age the best. You can share the result on various social media platforms or as email. Check this test out here. 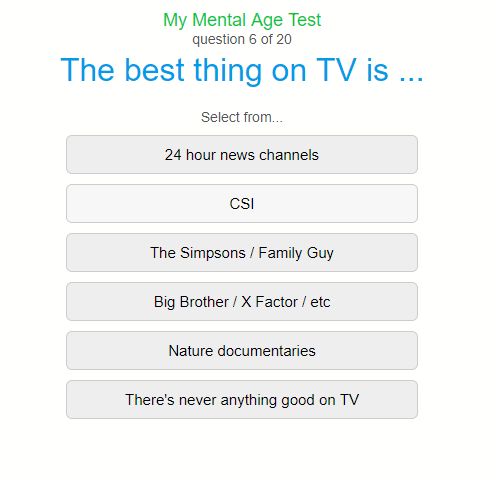 Age Test is again a dedicated website to know what is your mental age. It asks you 24 questions with multiple choices to answer. These again are related to your habits, preferences, likes, and how would you like things to be. After answering the questions, you just get your mental age with a caption. Options to share the result on social media platforms are available. Test Your Brain. What Is Your mental Age? is a rather simple test to check your mental age. It asks you a set of 10 questions with multiple options to answer. These questions are very different than the questions asked in the above test. Based on your responses, you get the result. Along with your mental age, you get a recommendation to train your brain for free. These were some of the best tests to know your mental age. These tests cannot be really accurate, but they somewhat relevant. Give them a try.